The 16 days tour will let you visit all the important destinations of Rajasthan. Believed to be having the richest culture among all Indian states, Rajasthan is also one of the most explored tourist destinations of India. Enjoying vacations in Rajasthan while discovering its colourful and vibrant culture is great experience for western tourists. Day 1: Delhi :Arrive in night. From airport, our representative will transfer you to the hotel. Stay overnight there. Day 2: Delhi-Mandawa :. Take almost 5 hours drive in morning for Mandawa. Visit its popular Havelis and other cultural places. Day 3: Mandawa-Bikaner :Drive to Bikaner from Mandawa after breakfast. Reach Bikaner in evening. Overnight at hotel. Day 4: Bikaner :Full day sightseeing tour take you to visit many of its Havelis and temples. Stay overnight at hotel. Day 5: Bikaner-Jaisalmer : Drive to Jaisalmer in the morning, and reach there afternoon. Spend evening in leisure at heritage hotel, where you will stay overnight. Day 6: Jaisalmer : Sightseeing of historical city of Jaisalmer takes place in morning. Afternoon, rush to Sand Dunes, and enjoy Camel Safari. Stay overnight at hotel. Day 7: Jaisalmer-Jodhpur: Take 300 km drive to Jodhpur after having breakfast, and reach to Jodhpur. Rest in evening at hotel. Day 8: Jodhpur-Kumbhalgarh. Visit to famous Mehrangarh Fort and Umaid Bhawan Palace. Afternoon, reach Kumbhalgarh after taking drive from Jodhpur. Visit Kumbhalgarh Fort. Stay overnight at hotel. Day 9: Kumbhalgarh-Ranakpur-Udaipur. In morning, drive for Udaipur from Kumbhalgarh. En route halt at Ranakpur, and see its famous temples. Reach Udaipur in evening. Enjoy boating in famous Pichola Lake. Day 10: Udaipur. Full day sightseeing of Udaipur. Visit its popular historical forts and palaces. Spend evening in leisure. Day 11: Udaipur-Kotah. Drive for 285 km, taking 5-6 hours, and reach Kotah. Rest in evening. Overnight at hotel. Day 12: Kotah-Bundi-Ranthambore. Visit the historical city of Kotah. Later, drive to Ranthambore. En route halt at Bundi, and visit its historical forts. Reach Ranthambore in evening. Day 13: Ranthambore-Jaipur. Enjoy morning game viewing at the world famous wildlife park of Ranthambore National Park. Spot Tigers and other wild inhabitants. Afternoon, drive to Jaipur. Overnight at hotel. Day 14: Jaipur. Take full day sightseeing of Jaipur, the Pink City Of India. Visit to many of popular historical sightseeing spots. Take elephant ride while ascending to Amer fort. Overnight stay at hotel. Day 15: Jaipur. If you wish, you can drive to Pushkar. Otherwise, take rest at hotel. try cooking some Rajasthani cuisine. 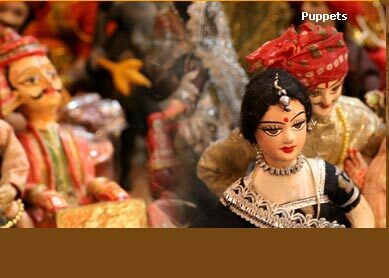 In evening, walk to local shopping streets, and shop amenities like jewelery, textiles and handicrafts. Overnight at hotel. Day 16: Delhi. Drive to Delhi from Jaipur in morning, and rush to airport, from where you will catch you returning flight for your onward journey. 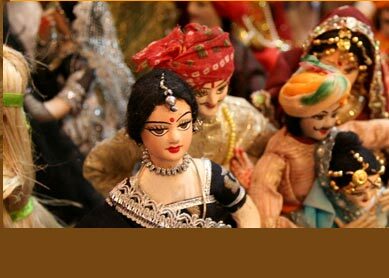 The Cultural Bowl of India  Rajasthan is perfect place to let you explore the rich culture of India. Abode to many of historical forts and palaces, these places are also mirror to rich culture and customs of India. 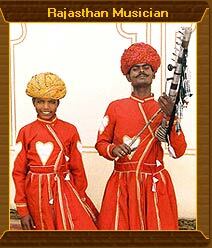 Explore Rajasthani villages, and see its local culture endowed with heaps of rituals. Moreover, several eco activities like camel safari in world famous Sam Sand Dunes, and wildlife visit in the Ranthambore National Park keep your vacationing joy elevated. Enjoy excursion with your companions while being at these places. And do not forget capturing these moments in your handy cam and digicam. Other favourite activity you will love to enjoy will be shopping at many of bazaars, which you will come across while exploring these cities.